This week marks perhaps the coldest temperatures the Seattle area has experienced in a decade. It should be no surprise, since the center of the US recently saw the coldest front in a generation, according to weather specialists. So why not a warm coffee to start the day? 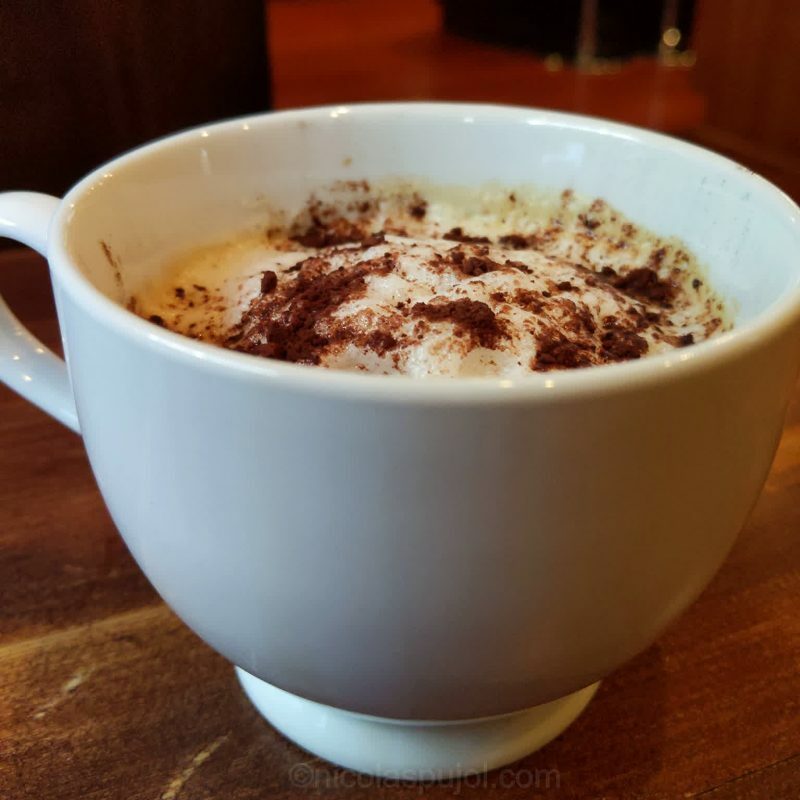 This vegan almond milk cappuccino (no added sugar) is made with medium roast coffee beans, an espresso machine, using its milk frother. This decade also, our kids are teenagers, at the moment 16 and 13. One goes to school almost an hour away from home every week day, and starts early. So we get up at 5:30 am, which also invites those awake at this time in the morning to think about a bit of caffeine. 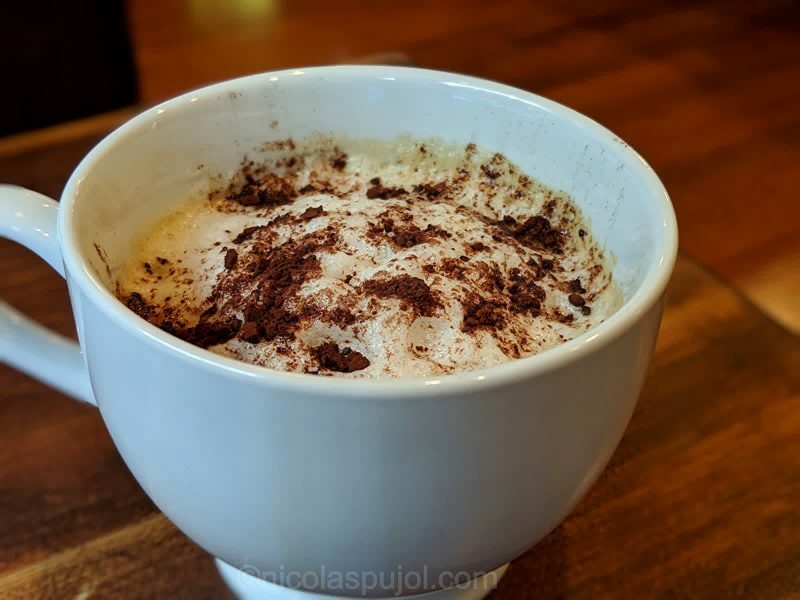 This dairy-free cappuccino was so easy to make. 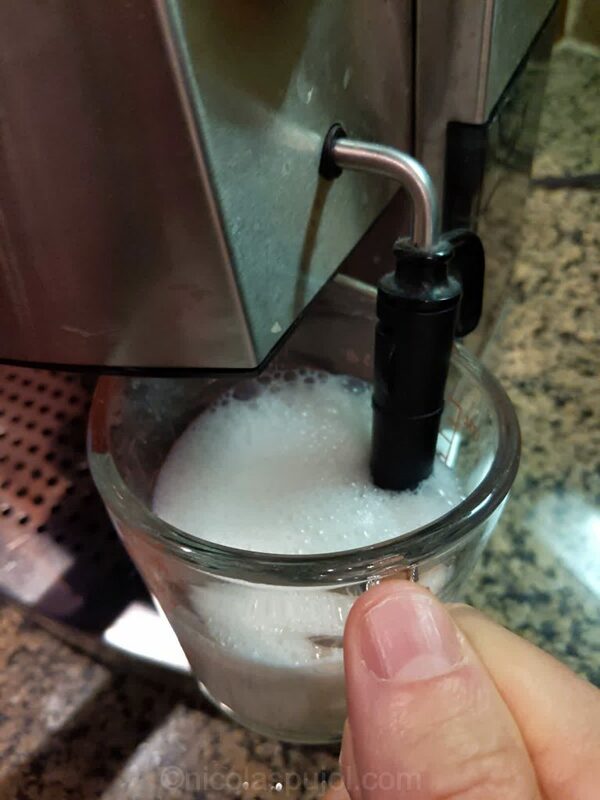 In the case of a regular “dairy milk” drink, you know the frother will emulsify the milk, and that the milk will foam and rise. But does almond milk foam and rise when steamed? This was my main question. I knew that this vegan milk alternative pairs well with coffee, and the rest was very positive. The foam when making almond milk cappuccino came together very well, as the frother worked as well as it does when using regular milk. The almond milk foam was so thick that I used a spoon to transfer it from the container I used to make it, to the espresso cup. These steps made how to froth almond milk effortless. You can add cinnamon on top if you like it. 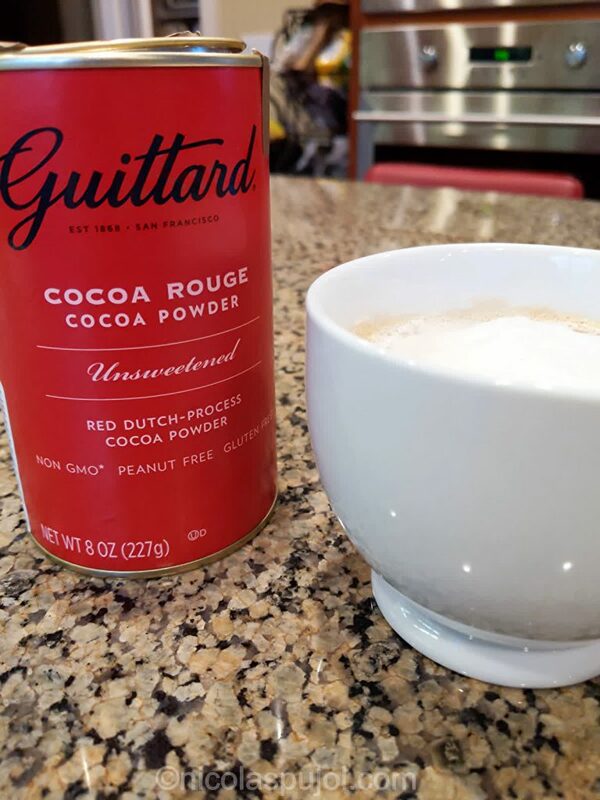 Personally, I prefer unsweetened cocoa powder, or unsweetened cacao powder. These two are not the same, and taste a bit different. But both of these options have no sugar added, and bring wonderful chocolate flavors into the cappuccino. Coffee plus chocolate also make for a high energy morning drink to go with a pre-workout recipe. Sometimes, vegan substitute ingredients don’t work as well as the original ones. In this case we could make this drink unsweetened, and I think, true to the original cappuccino. Enjoy and stay warm if you are in winter season too! And if you want a hot drink without caffeine, try a hot grapefruit juice with green tea or one of the other drinks on this site. 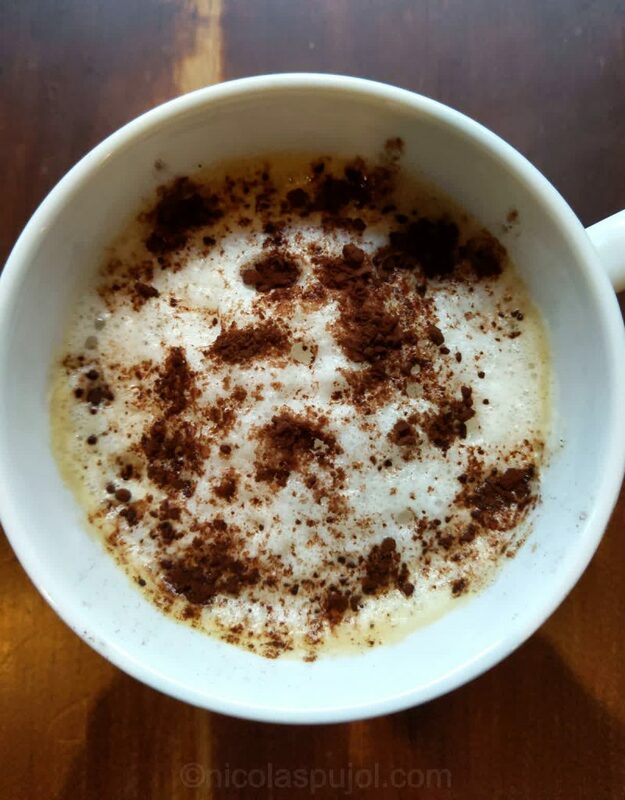 This vegan almond milk cappuccino (no added sugar) is made with medium roast coffee beans and an espresso machine, using its milk frother. 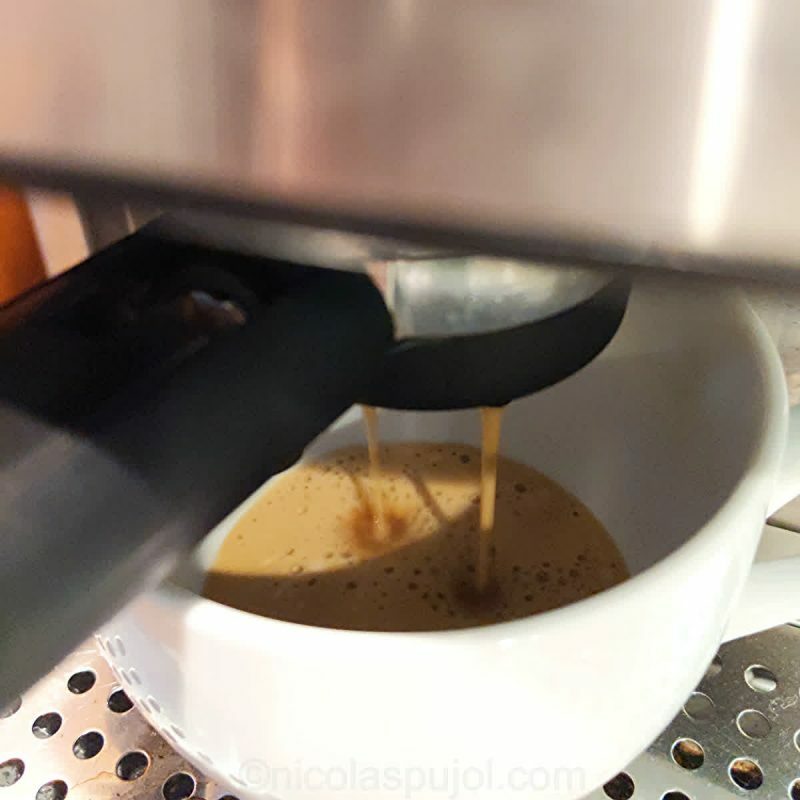 Make the espresso first. 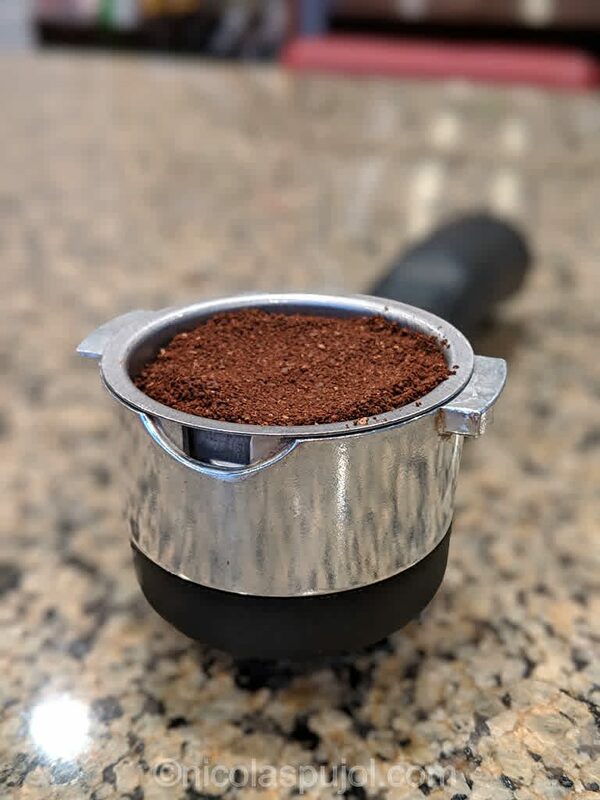 I used 2 doses per person, and let water run longer, in the Italian lungo espresso style, about 4 ounces of water. Froth the almond milk the same way you froth a regular milk. 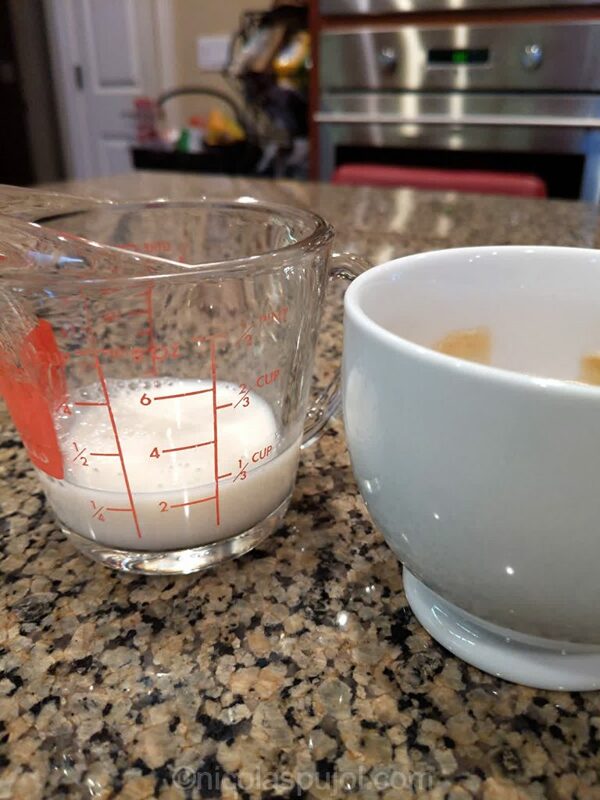 Gently pour the foamed almond milk into the espresso cup. The foam may stick to the glass or container you make it in, you can extract the rest as needed with a spoon. Stir slightly with a thin accessory, like a chopstick or the handle side of a teaspoon. Sprinkle your favorite spice on top, like cinnamon, or in this recipe, cocoa powder. The final photo is just for fun. 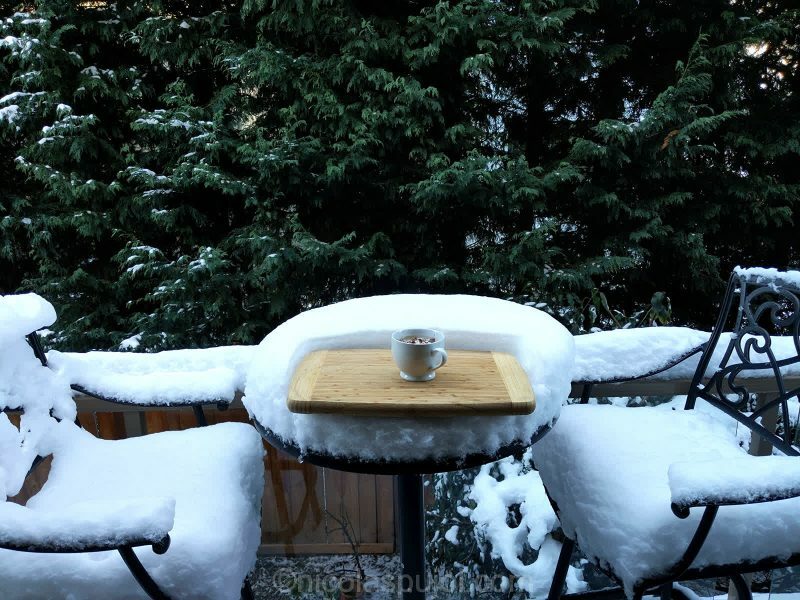 With the amount of snow that is simply not melting, showcasing a hot coffee drink on a wood board feels like these coffee shops nested on mountains at ski resorts. 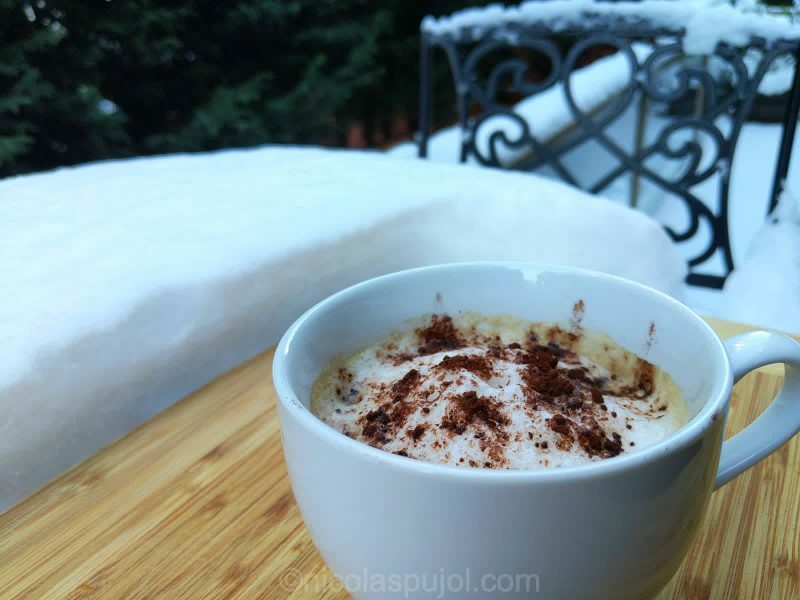 You’ve been out for a while and can’t wait to warm yourself up with a hot cocoa, or in this case, a hot cappuccino.